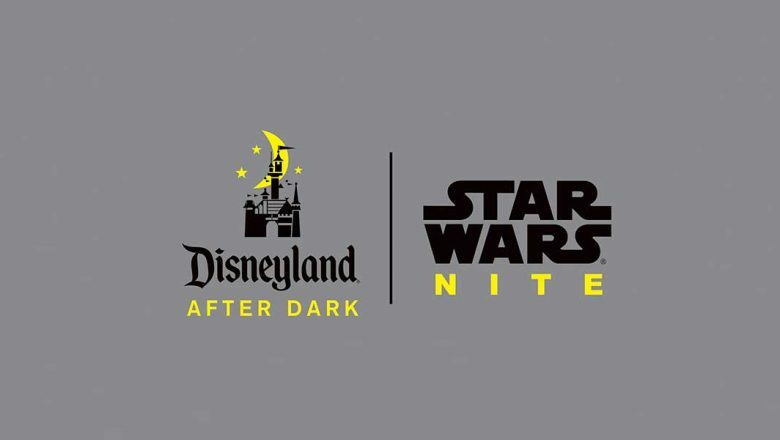 Disneyland After Dark: Star Wars Nite is so very nice, they’re doing it twice! 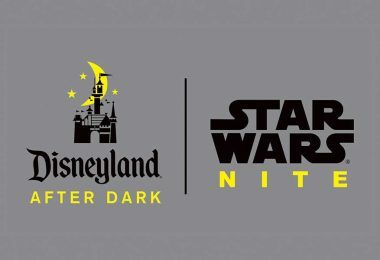 Yes—due to unprecedented demand for their now-sold-out event on May 3, Disneyland park is adding a second Star Wars Nite celebration on Wednesday, May 9… and tickets go on sale very soon! 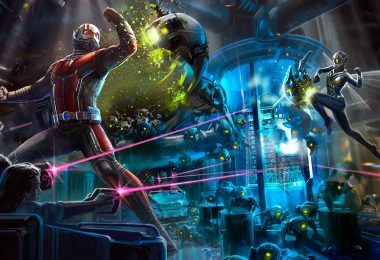 Guests at this supremely cool after-hours event will once again have special access to celebrate everything galactic across Disneyland park. Folks are encouraged to come dressed in their fave Star Wars attire, and they’ll have access to exclusive entertainment (like a dance party and character encounters); amazing and immersive Star Wars-themed photo opportunities; a commemorative lanyard and event credential; special food and beverage offerings; and even unlimited downloads of Disney PhotoPass pics taken during the event. 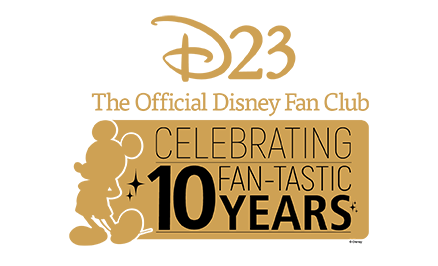 Plus, this second Star Wars Nite will also include the opportunity to be among the first to purchase limited-quantity Solo: A Star Wars Story pins, an Acme Archives Limited artist showcase and signing, and a book signing for It’s Your Universe from Ashley Eckstein. Honestly, if you’re local to SoCal and you’re a Star Wars fan, this is an event you don’t want to miss! 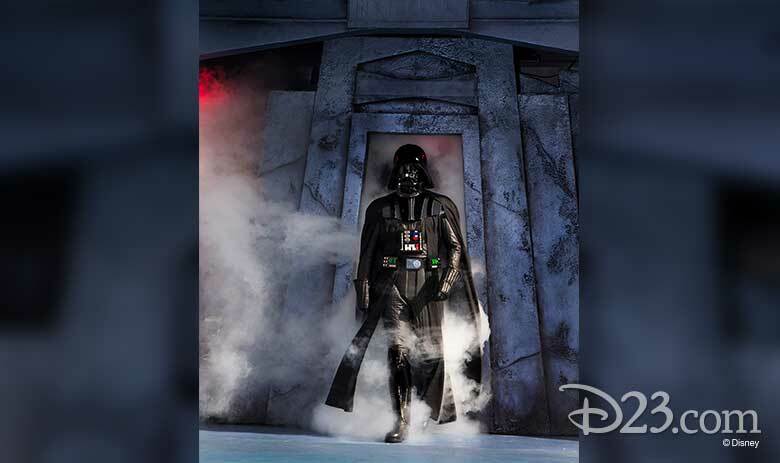 Tickets go on sale Tuesday, May 1—visit the After Dark page at Disneyland.com for more info. It’s almost time to return to San Fransokyo and catch up with Hiro, Baymax, and all their pals. 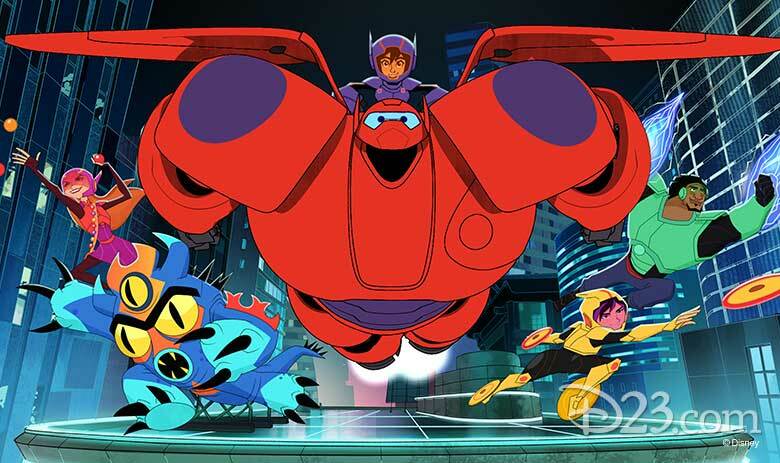 Big Hero 6 The Series will make its big debut on Disney Channel (as well as DisneyNOW and Disney Channel VOD platforms) with back-to-back episodes on Saturday, June 9, and Sunday, June 10. 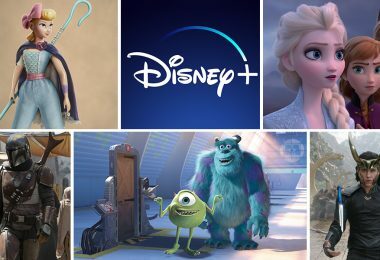 Read up on what you can expect—and check out a teaser trailer with an adorable message from Baymax himself — here at D23.com. In celebration of this month’s Earth Day, Disneynature debuted the first trailer for its latest incredible feature. Penguins tells the story of Steve, an Adélie penguin who joins millions of fellow males in the icy Antarctic spring on a quest to build a suitable nest, find a life partner, and start a family. Unfortunately, none of it comes easily for him—especially considering he’s targeted by everything from killer whales to leopard seals, who unapologetically threaten his “happily ever after.” Check out the captivating clip, above. The film is the eighth theatrical release for Disneynature since the label’s 2008 launch, and it continues a long-standing tradition of wildlife documentary filmmaking at Disney that dates back to Walt Disney and his True Life Adventure films, produced between 1948 and 1960. Best of all, Disneynature’s films help empower viewers to lend their own support to conservation efforts dedicated to the wildlife featured in the films. Brought to you by the teams behind Disneynature’s Bears and Chimpanzee, Penguins is slated to open in theaters nationwide in time for Earth Day 2019. The Epcot International Food & Wine Festival is a truly delectable event, running for 10 weeks this fall—and as our pals over at the Disney Parks Blog just announced, some fantastic new-to-the-Fest artists will soon be taking to the “Eat to the Beat” concert series stage. New to this year’s series are percussionist/singer Sheila E and ’80s Canadian rockers Glass Tiger, both appearing in September. In October, 98 Degrees (featuring brothers and Dancing with the Stars alums Nick and Drew Lachey) will also join the festival for a weekend, as will TV and film star Jim Belushi—who brings his R&B band The Sacred Hearts to “Eat to the Beat” for the first time. They’ll be joined by other music favorites including ’80s pop chanteuse Tiffany (September 1–3); viral sensation Postmodern Jukebox (September 10–11); Australian soft-rock icons Air Supply (October 8–10); ’90s darlings Hanson (Halloween weekend, October 29–31); and dance music diva Taylor Dayne (November 3–4). And so many more! It all kicks off on August 30… for more information, both about the “Eat to the Beat” concerts (FYI: More artists will be added to the roster in the coming weeks!) and the incredible Epcot International Food & Wine Festival in general, visit TasteEpcot.com. We’re counting down the days—we’ll be in single digits before you know it—’til the debut of Solo: A Star Wars Story, the latest adventure from the Star Wars universe and a look at the origin of the galaxy’s most beloved scoundrel. 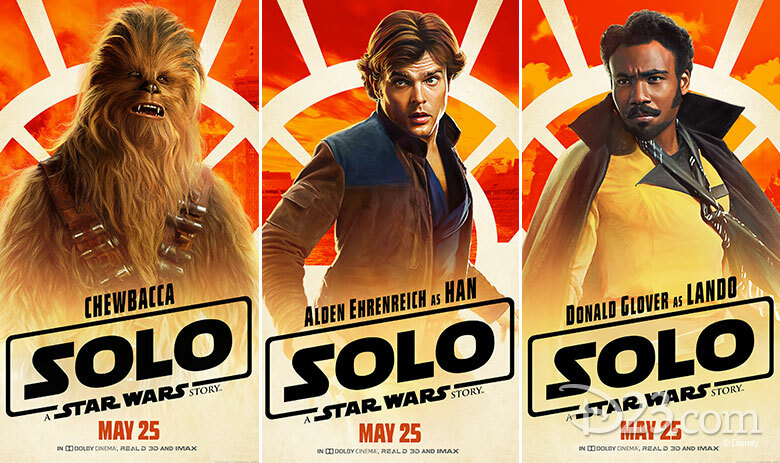 Just recently, we’ve been given a looksee at the film’s new character posters, featuring Alden Ehrenreich as Han Solo, Emilia Clarke as Qi’ra, Donald Glover as Lando Calrissian, Phoebe Waller-Bridge as droid L3-37, and even Chewbacca. Directed by Ron Howard, Solo: A Star Wars Story rockets into a theater near you on May 25. Plus, two popular members of pirate Uma’s (China McClain) crew, Harry and Gil, are coming back—portrayed by actors Thomas Doherty and Dylan Playfair, respectively. These three performers will join Dove Cameron as Mal, Cameron Boyce as Carlos, Sofia Carson as Evie, Booboo Stewart as Jay, and Mitchell Hope as King Ben for a return to Auradon and the world of the “villain kids,” or VKs. And, good news: Descendants 3 will once again be directed by Emmy® and DGA Award winner Kenny Ortega. Stay tuned for more Descendants dish as it becomes available! At D23’s recent celebration of all things Disney’s Animal Kingdom (chiefly, its fabulous 20th anniversary), guests were treated to a very special announcement: Adventures by Disney has created a unique, adult-exclusive safari to South Africa for November 2018… and coming along for the (Jeep) ride are special hosts Joe Rohde and Dr. Mark Penning! Get all the safari scoop—including a cool clip with Joe himself — here at D23.com. 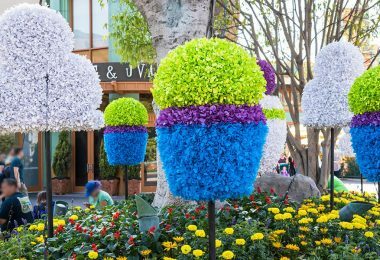 Fans of ice cream, and visitors to Disneyland Resort, ready those spoons—we’ve got some exciting news to share. 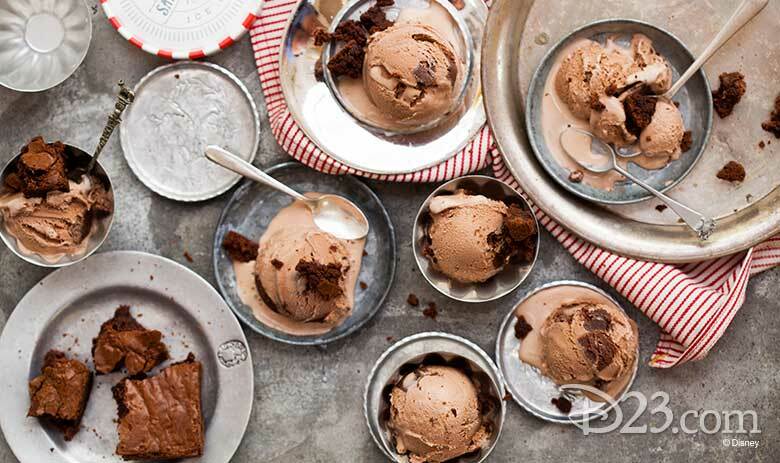 The newest scoop shop from ice cream innovators Salt & Straw (and their co-founders, cousins Kim and Tyler Malek) will open at Downtown Disney District later this year. This family-run ice cream company, which started as a push-cart in Portland, Oregon, is known for its imaginative ice cream creations. Each flavor is handmade in small batches using only the best local, organic, and sustainable ingredients. Special offerings will be available each season, showcasing co-founder and head ice cream maker Tyler’s passion for partnering with local farmers and artists. Construction is due to begin soon, and our taste buds couldn’t possibly be more excited. This… is American Idol making history! 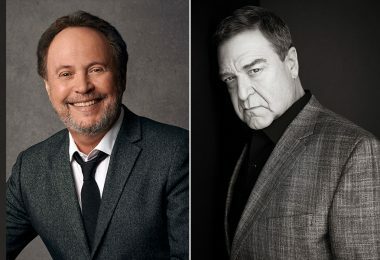 For the first time in the history of U.S. television, a reality-competition series will allow viewers to watch and vote from both coasts simultaneously. Cool, right? 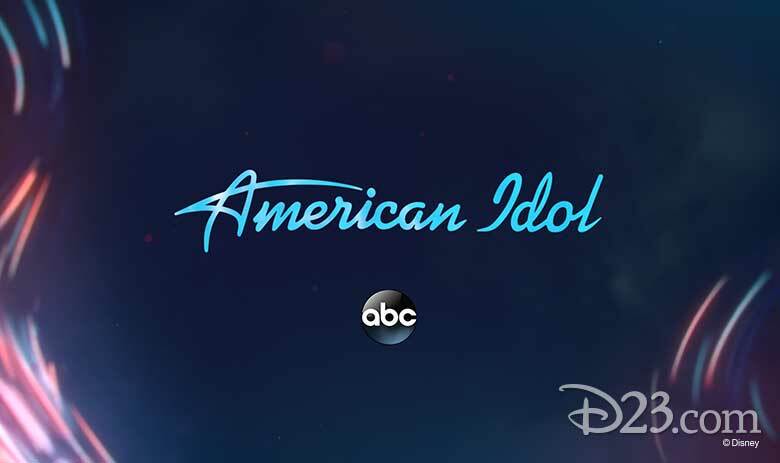 For a three-week span, American Idol will be simulcast in all time zones across the country, starting this Sunday, April 29 (beginning at 8 p.m. EDT/5 p.m. PDT), on ABC. 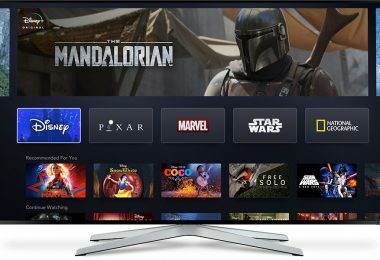 Viewers can vote for their faves by text, via AmericanIdol.com/vote, and on the American Idol app; results will be revealed at the end of each show in real time, across the country. “We set out on a journey to find the best talent this nation has to offer,” ABC Entertainment president Channing Dungey recently said. “As we head into the next phase of the American Idol competition, it only makes sense to let every viewer from coast to coast experience the magic of live television and have the ability to vote for America’s next superstar.” So get those texting fingers ready, and make sure to tune in! 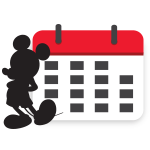 Summer is just around the corner—which means vacations, cookouts, and (in the case of this summer) some totally nifty fan-centric programming and events from the good folks over at Disney Channel. 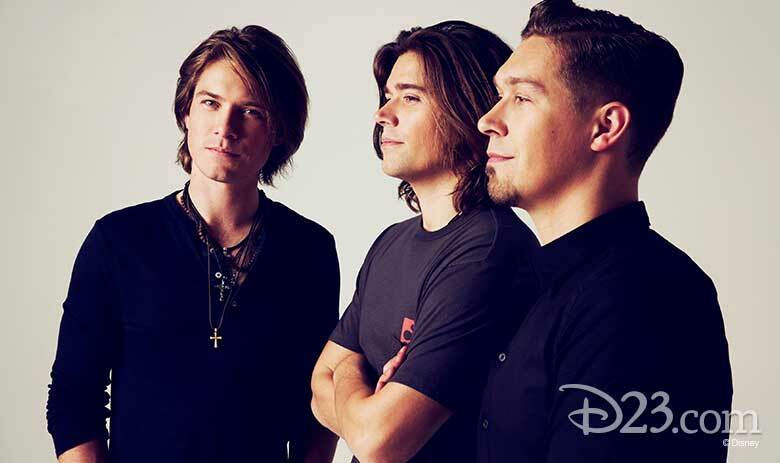 Take a gander at what you can expect from the Disney Channel GO! Road Trip and Fan Fest right here.